I remember me sitting in front of Dr Bert Vaux and another professor in my interview at Cambridge. I told them that I had lived in Austria for some years and they subsequently asked me about the differences between Standard German (SG) and Austrian German (AG). I replied with ‘different pronunciation, some different words and also the grammar differs a bit’. When they asked for examples, I had to pass. I never really got my head around really looking at the differences. So why not now, might come handy for those of you going on exchange to Austria next year. AG is a standard variety of SG used in Austria. 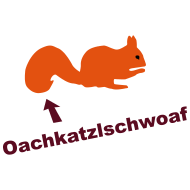 In everyday life, most Austrians speak different dialects of AG. AG mainly differs in lexicon, pronunciation and grammar from SG. AG commonly inserts consonants (epenthesis) in compound words. For example “Zugverspätung” (train+lateness) becomes “Zugsverspätung”. When constructing the perfect tenses, AG uses the auxiliary verb ‘sein’ not only for verbs of movement but also for verbs expressing a state; so instead of saying “Ich habe gesessen” they’d say “Ich bin gesessen” (“I have/am sat”). Many Austrians do not distinguish between p and b, t and d and sometimes also k and g.
The suffix –ig is not pronounced /iç/ but /ik/ or/ig/ (can’t decide just now, I think my pronunciation varies. Nevertheless, it feels ‘nicer’ to produce the /iç/ sound at the end of a word). Loanwords often differ in stress and pronunciation (e.g. /çi:na:/ > /ki:na (probably because I connect /çi:na a little more to my name)). Some Austrians pronounce the prefixes st- and sp- /st/ and /sp/ instead of /scht/ or /schp/ (I remember me and classmates being really annoyed by my Austrian teacher saying ). This entry was posted on 30/05/2011 by G in Academia, Cultures, Linguistic Musings, Places and tagged Austria, Austrian German, dialect, German.